 Visibility on the Denbigh wreck site is generally very poor, due in part to the high levels of river silt that pass through Galveston Bay and into the Gulf of Mexico. 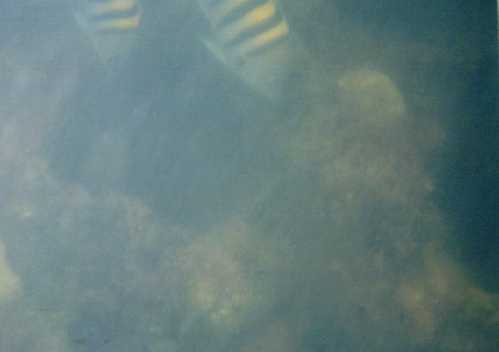 On most days, visibility is only a few inches, and the divers must do their work more by touch than by sight. 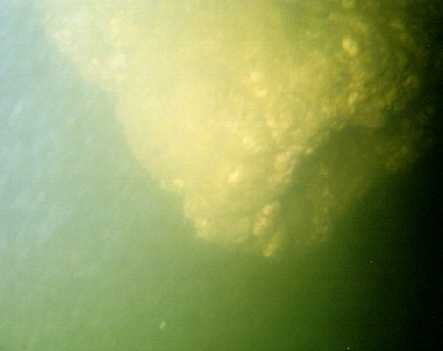 For several days in July 1999, however, the visibility improved to about two feet, allowing Assistant Project Director Tom Oertling to take these photographs. 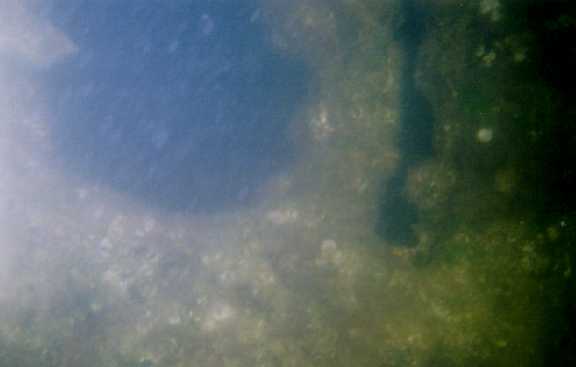 The Denbigh wreck site has long been popular with fishermen; it's easy to see why. The photography scale shown is marked in centimeters. Part of the feathering sidewheel frame is sillouetted against sunlight from above. 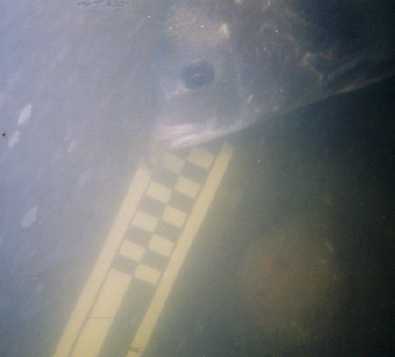 More fish, this time investigating an opening on the ship's boiler casing. Another opening on the boiler casing. The open end of a fitting on Denbigh's machinery.